Andrew D. Fisher is stationed at Fort Benning, GA and at the time this article was written, was a Physician Assistant in the U.S. Army. He has no financial interest in any products mentioned, nor has any conflict of interested to disclose. These opinions are his own and are not endorsed by the U.S. Army or the Department of Defense. Ever wonder why it is that the majority of time that you are seen at sick call, you receive some sort of Nonsteroidal Anti-inflammatory (NSAID)? You may be asking yourself what is an NSAID; one should gather from the title that it’s a drug similar to Motrin™. I frequently hear that Soldiers feel all Army healthcare providers do is hand out Motrin™, as if the providers don’t care or do not know of anything else to prescribe. The issue is, healthy young men and women are rarely significantly ill or injured. I know someone is reading this and has either had a serious injury or has known someone who had a serious injury. Well, guess what, the Army is pretty small, everyone knows someone who’s had a serious injury or illness. The most common injuries in the Army are sprains and strains. For some that just seems preposterous, but it’s true. And for those kinds of injuries, all you need is some Motrin™ (or something like it) and a little bit of rest. The Internet has provided the opportunity for everyone to be an Internet doctor. Sometimes, I feel people only come to sick call for a second opinion. There is a general lack of understanding of what needs to happen versus what they want to happen. Although it may be clearly spelled out for the patient, they still think they know what is best. The most common injuries only require rest and NSAIDs. NSAIDs are drugs, which decrease the amount of swelling or inflammation. To truly get the desired effect, you must take it as directed. However, rest and NSAIDs is hard to do for some reason. People do not realize you need to take your medication as directed. And this is part of the problem; taking Motrin™ three times a day is difficult. Any NSAID must be taken as scheduled and directed to get the desired effects. There are several types of NSAIDs, such as ibuprofen and its name brands Motrin™ and Advil™, naproxen and its name brand -Aleve™ and Naprosyn™, meloxicam and its name brand-Mobic™, and everyone’s favorite injectable, ketorolac or as it is more commonly known, Toradol™. While drugs are part of the overall recovery equation, rest is just as important. Is it hard to not exercise for two weeks? Why, when given specific instructions, are they ignored? It is not like we just hand out random recommendations and medications, we use evidenced based medicine, not Wikipedia or WebMD. >I understand a profile can make you look weak. However, two weeks is a short amount of time in the big scheme of things. Besides, a profile rarely prevents you from performing a small amount of training; there is always something you could be doing. I am not saying that serious problems do not arise. There are several occasions where I have diagnosed cancer, hypothyroidism, heart disease, and several other serious diseases. There are very few diseases that kill instantly, even if you have cancer, it may be several weeks before you get surgery. Therefore, if you are not convinced that you are still gravely ill and you have waited, taken your medication as directed, and completed the appropriate rehabilitation; come back in for a second opinion. Every good provider will take another look to ensure something was not missed. And at times you may be seen by a second person to ensure the other provider did not miss a serious illness or injury. This brings me to another point. We are human, we make mistakes. I have misdiagnosed patients in the past, and I will most certainly do it in the future. I take instances when I miss a diagnosis, serious or not to heart. We all work hard to ensure we stay on top of the most current medicine. I hear patients talk all the time about how this or that provider is not adequate because he or she missed a diagnosis (I can only imagine what is said about me). It can be difficult to quickly identify and diagnose serious injury and illnesses. Many young Soldiers with serious diseases do not present in a classic manner and the diagnosis can be elusive. It is one thing if your provider is lazy or if they are ambivalent about your care. Common things being common, it is most likely a minor injury that will heal over time. No magic cure, no “shot” that I can give you. It takes time to heal properly. The Army has come a long way in its approach to medicine and rehabilitation. Physical therapists are found at all levels of care throughout the Army healthcare system. 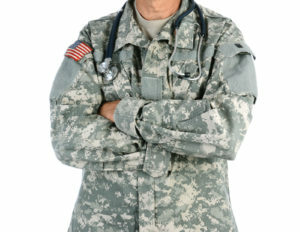 A new model and approach to Soldier care in its infancy, but it will focus on more group decision-making for the patient. You should understand that your healthcare provider does care about you and your injuries; we want you to heal and return to duty at 100%. That being said, there are malingerers and others that clog the system and make it difficult to sift through the tornado called sick call. If you are a patient who receives instructions to take an NSAID and rest awhile, then you should be more than happy to receive your Motrin™. The Author provides information, content, and/or data (collectively, “Information”) contained therein for informational purposes only. The Author does not provide any medical advice, and the Information should not be so construed or used. Using, accessing and/or browsing the Site and/or providing personal or medical information to the Author does not create a provider-patient relationship between you and the Author. Nothing contained in the Site is intended to create a provider-patient relationship, to replace the services of a licensed, trained physician or health professional or to be a substitute for medical advice of a physician or trained health professional licensed in your state. You should not rely on anything contained in the Site, and you should consult a physician licensed in your state in all matters relating to your health. You hereby agree that you shall not make any health or medical related decision based in whole or in part on anything contained in the Site. The views represented in this article are the author’s own and do not reflect an official position of the 75th Ranger Regiment or the US Army.